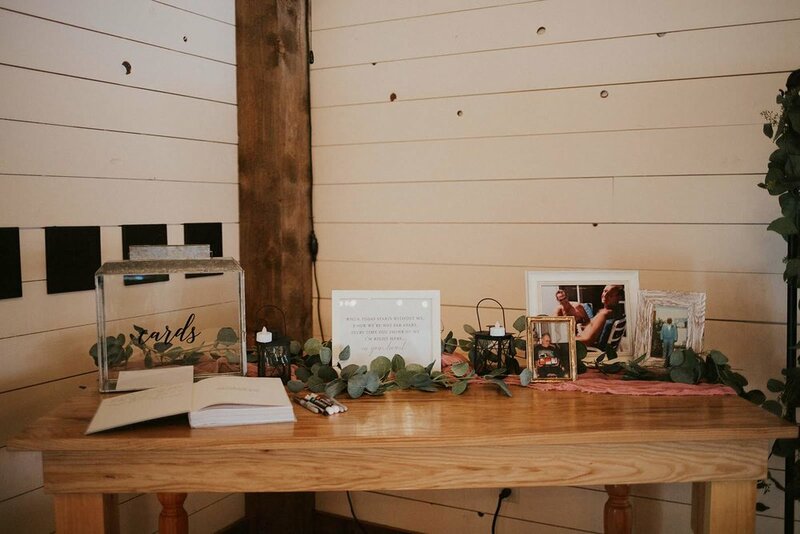 Taylor and Jacob’s wedding was the perfect way to kick off our 2019 wedding season! These two opted for a romantic winter wedding on February 16th at Black Barn Vineyard and Winery. This beautiful, modern barn was the ideal setting for their celebration. The dark exterior wood provided great contrast against the snow and the interior was filled with warm wood accents and clean white shiplap. 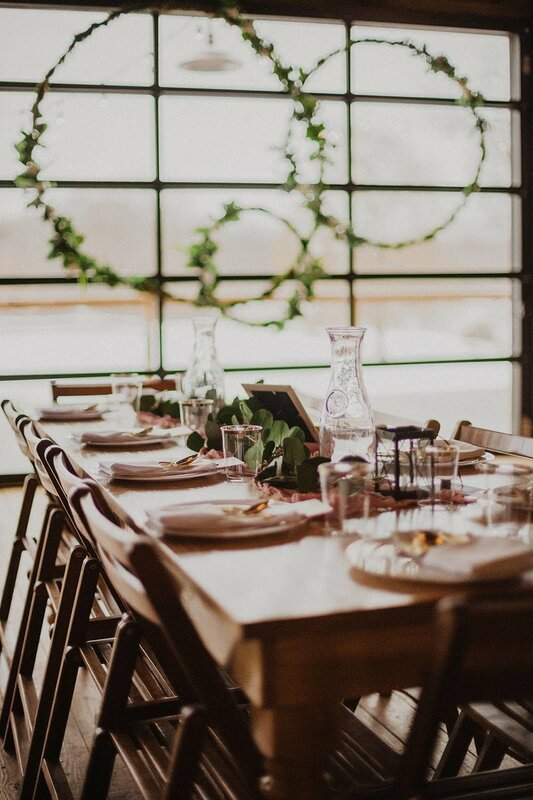 Which was perfect for the Chip and Joanna Gaines fans, who paid homage with several wedding details, including a unique candelabra and guest book. We always love when a couple spices things up! En lieu of a traditional guest book, Taylor and Jacob bought Joanna Gaine’s book, “Home Body,” and had guests write messages throughout. 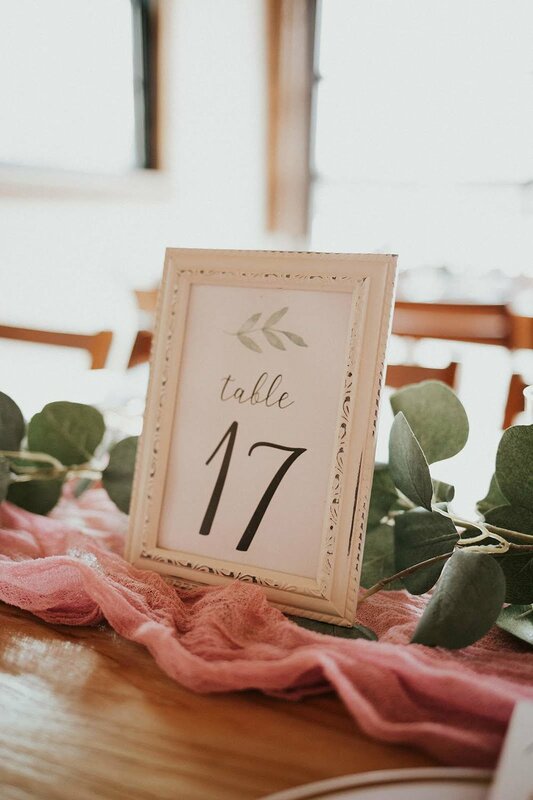 An opening inscription let guests know that they were an important part of creating up their “home.” Other personal touches were that the groom’s sister made their cutting cake and one of the groomsmen played the bride’s entrance song on a keyboard. It was such a collaborative and collective experience for Taylor, Jacob and their families. What a wonderful way to look back on your wedding day! One of the highlights of the day that Taylor and Jacob were looking forward to was tearing up the dance floor! 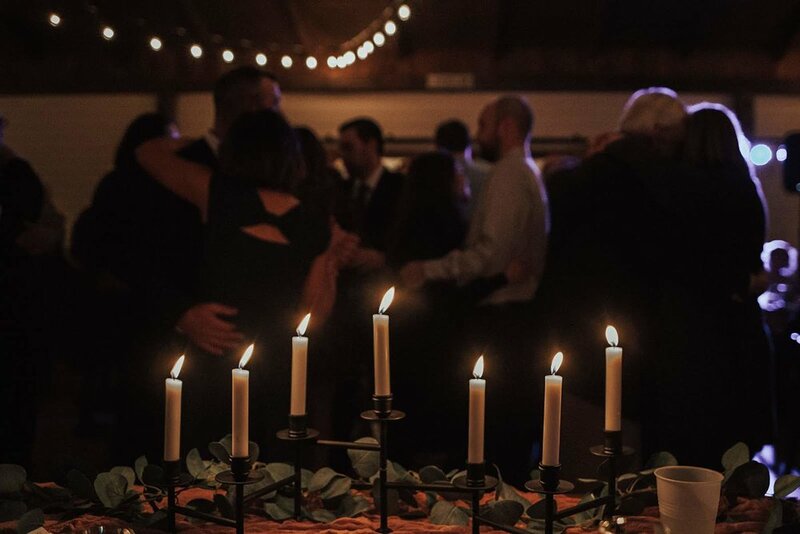 After a guests enjoyed dinner from Paula Tucker Catering, the bride and groom started opened up the dance floor with their meaningful first dance. PushPlay DJ’s provided the perfect mix of songs to keep the dance floor packed all night long! We were so happy to help this wonderful couple with their wedding day and enjoyed it so much! Photography by This Moment Photography. It was the perfect February day with just a light dusting of snow on the ground. How beautiful are Taylor and her bridesmaids?! Taylor’s gorgeous wedding dress illuminated in the sun, in front of their greenery ceremony backdrop. 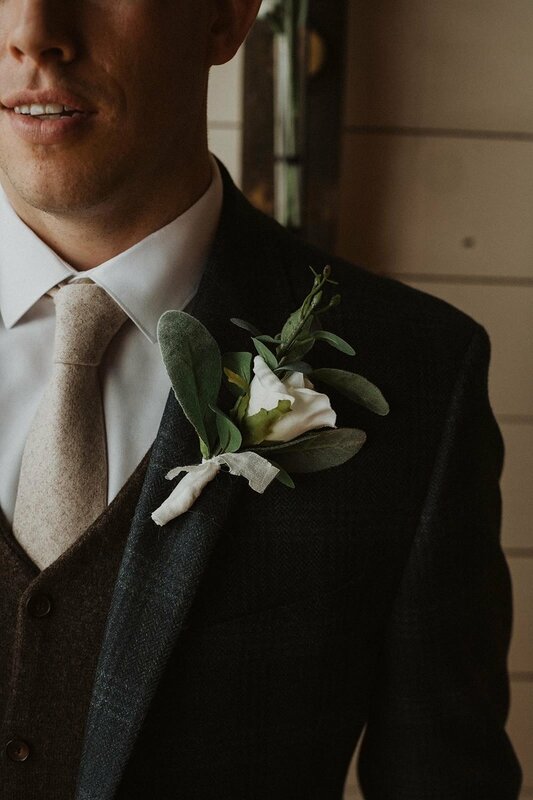 Jacob’s plaid suit, brown vest, light brown tie and boutonniere is what texture dreams are made of! All of the first look feels! Tables were accented with gold silverware, mauve runners and eucalyptus garlands. Taylor looks beyond stunning in this portrait of her waiting for the ceremony to begin. How cute are these little ones?! They did such a great job walking down the aisle! The love between these two was so magical and special to witness. Murals in downtown Jackson provided such a backdrop for their bridal party pictures. Congratulations Taylor and Jacob, keep on dancing! 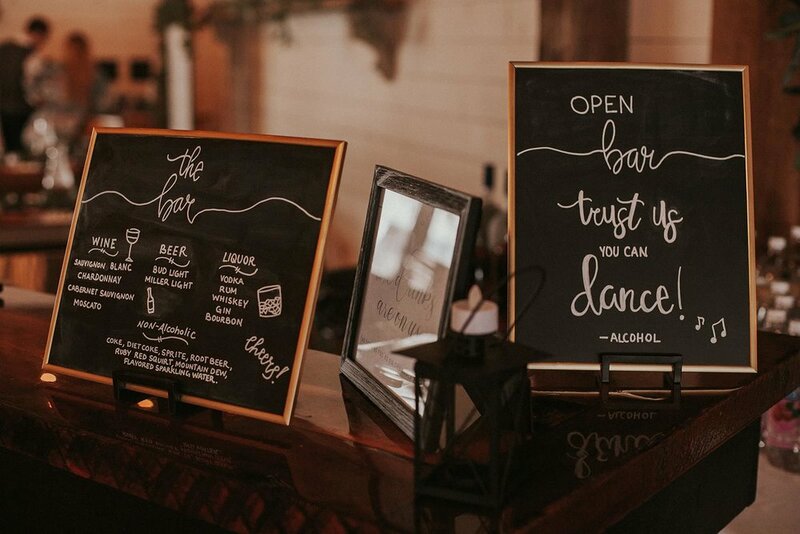 Planner: Pineapple Punch Events, Ceremony and Reception Venue: Black Barn Vineyard and Winery, Photographer: This Moment Photography, DJ: PushPlay DJ’s, Bartending Services: Slingin’ Sisters, Catering: Paula Tucker Catering. Decor: Couple and their families.